Only the following editors are allowed to edit this page: Vulpa (talk · contribs · email). Otherwise, if you have any comments or suggestions, please use the talk page. The souls of mortals are captured in black soul gems or obtained by the Ideal Masters through deceit. They are doomed to spend the rest of eternity in the Soul Cairn. They ignore all combat, as they are invulnerable anyway, and prefer to remain in one place rather than wander around. The game treats them as undead ghosts with morality of No Crime and aggression of Unaggressive. The first instance asks you to find Arvak, then disappears. The second instance appears when you retrieve Arvak's skull and disappears after the dialogue. Inventory: He wears a complete set of leather armor. Inventory: That of a one-handed or two-handed melee bandit. These are the souls imprisoned by the Keepers in order to drain their energy. Each group disappears once their Keeper is defeated. They cannot be interacted with due to a script. Inventory: That of a lightly armored one-handed melee bandit, excluding a shield and weapon. Four of them (two males and two females) are involved in the horse quest and can be seen praying at the shrine with Arvak's skull. When you approach, they will disappear and hostile mistmen will spawn in their place. The female located west of Boneyard can be found trapped and lying wounded on the floor under a giant crystal. She disappears upon being freed. Inventory: That of a necromancer. Inventory: That of a bandit archer. 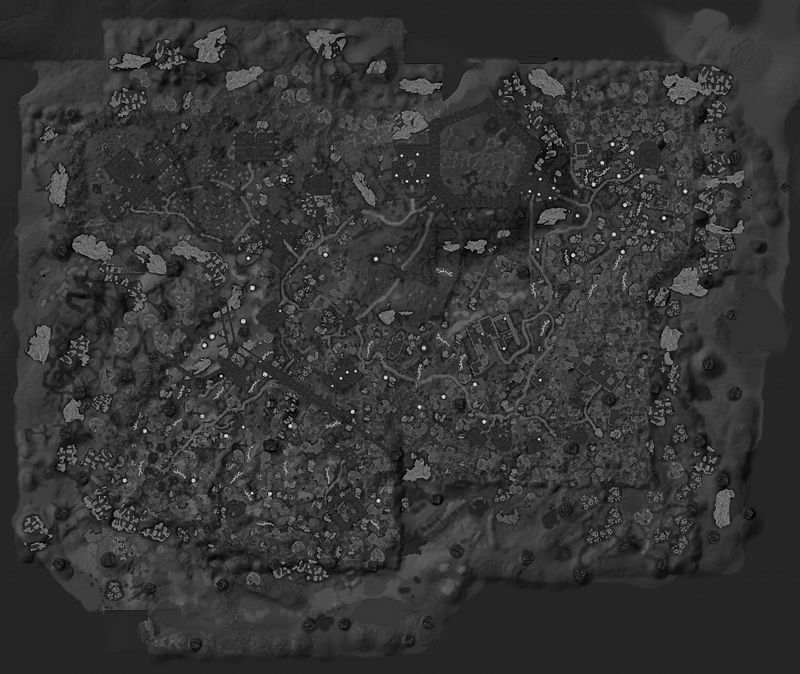 They can be found east of Boneyard, gathered around a glowing crater. Being members of SoulCairnSpecialFaction, they offer no dialogue. One of them appears to grow soul husks and raise ghostly cows 506 ft SE of Boneyard. Inventory: They wear random farm clothes with a pair of boots and have a 50% chance of wearing a hat. Inventory: She wears random farm clothes with a pair of boots and has a 50% chance of wearing a hat. Inventory: He wears apprentice robes of illusion and a pair of boots. Inventory: She carries a random two-handed weapon and wears a banded iron cuirass with an iron helmet, a pair of iron gauntlets and a pair of iron boots. Inventory: They each carry a hunting bow and a single iron arrow. They also wear a hide cuirass, a pair of gloves, a pair of random farm boots and have a 50% chance of wearing a random hat. Inventory: He carries a random two-handed weapon and wears a banded iron cuirass with an iron helmet, a pair of iron gauntlets and a pair of iron boots. Inventory: He wears expert robes of destruction and a pair of boots. They are all members of SoulCairnSoulFaction, except for xx002B0D and xx0150B6, which are members of SoulCairnSpecialFaction. There are initially 39 souls (excluding named ones), 19 of which may later disappear from the game due to various quests or events. Their spectral appearance differs from that of most other ghosts. They cannot be detected by the Detect Dead spell or the Aura Whisper shout. There are a few named souls, such as Jiub and Morven Stroud. 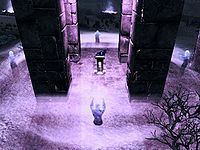 Generic dialogue is used only by the members of SoulCairnSoulFaction. "Want my advice? Never welch on a bargain with the Ideal Masters... they don't take it very well." "This place tears at me as though I'm still alive and being drawn and quartered. I... can't stand it anymore." "That's the last time I argue with a dremora." "Madness. It was madness to attack that coven of witches! Why didn't they listen to me?" "Why can't I just die? I fear I'm cursed to walk this desolate land forever." "Did you know I visited Elswyr once? What a strange and wondrous place." "I yearn to see the great dunes of Hammerfell once again." "No one ever escapes. There is no escape. Why would you even try?" "Shhh. They're watching us. Always watching." "A soul gem... that's what it was. Then... I must be... Oh, no." "I can't remember how long I've been here. Has it been a day or a century?" "What day is it? What year? What era even?" "The screams... they pierce my mind. I can't stand it!" "All I said to Potema was I thought she looked a little portly in that gown. How was I supposed to know?" "Are you alive? I must be imagining this." "Must stay away from the Keepers... must stay away from the Keepers." ""Just step into the painting" he said. Yeah, sure... like it's that simple." "I wonder if the fires are still burning in the Imperial City..."
"I must return to the frontline Alessian headquarters at once... lives are hanging in the balance!" "Damn Akaviri Shaman... how could I know it would trap my soul?" "How could they trick me like this? I was one of Reman's court wizards!" "This accursed place is nothing but a prison without walls." "Stay away from the Oblivion Gate I told them. Did they listen? Of course not." "How dare they cast me from the Battlespire! I will make them pay dearly." "That sky... it feels like I'm being watched. Can't stand it anymore!" "My ship... what happened to my ship? Where am I?" "I miss the warm sunshine. Green grass. Blue skies. I miss being alive." "I wonder if my family misses me? I wonder if they're still alive. How much time has passed?" "I no longer hunger, grow weary or feel anything but loneliness." "One moment I'm raising a sword against that necromancer, the next moment I found myself here. What happened?" "At least the pain is gone..."
"The clouds, the sky... it's all wrong. Everything's wrong." "What am I doing here? I don't belong in a place like this!" "So this is what it's like on the other side." "One thousand steps and a thousand more..."
"I thought death was a release, not an eternity of torment." "Beware the dragon Durnehviir, destroyer of souls and harbinger of the fallen." "Stay away from the crystals or you may find yourself becoming one of us." "This is no place for you." "Get out while you can." "Is there no end to this nightmare?" The Redguard soul will force you into dialogue requesting, "You must help me find my Arvak. He doesn't deserve to be in a place like this!" After telling him to calm down and asking who Arvak is, he will explain, "Arvak. My horse. We came to this horrible place together. We were attacked by monsters, so I told him to run," and plead you, "Please, he's such a loyal creature, and he's been running for so long. You have to save him! A place like this will change you..." If you ask him how you can help Arvak, he will leave your question unanswered and call, "Arvak! Arvak, where are you? Arvak, please come back! Come back!" When you retrieve Arvak's skull, he will appear once more and thank you, "Arvak...You saved him! His soul is free, I can feel it! He's such a loyal beast. Here, I'll teach you how to call him to you. He'll help you get around this wretched place, but I'm sure he'd be much happier someplace sunnier." He will then bid you farewell, "Goodbye, hero! Take good care of Arvak for me! Such a good horse..."
This page was last modified on 8 September 2018, at 04:47.